Bill Previdi began his tennis career at the age of 15 at the Port Washington Tennis Academy under the direction of the legendary Harry Hopman. Bill attended St. John’s University in New York on a tennis scholarship and played for George Seewagen, a member of the ITA (Intercollegiate Tennis Association) Hall of Fame. He began teaching part time during college and decided to make it his career. He was appointed Head Pro at the Guilford Racket Club in Connecticut at the age of 24 and remained in that position for 26 years. During that time he began working on a system for playing and teaching doubles. From that work came THE PREVIDI SYSTEM… DOUBLES FOR THE SMART PLAYER. Bill has created a comprehensive program of drills and games to perfect the techniques, tactics and positioning that will make for a coherent way to play doubles. 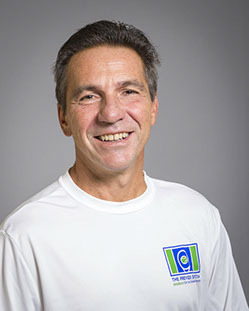 Although Bill continues to teach players and groups of all ages his passion is for doubles and for teaching it to adult players. Bill has also been a successful high school and college coach. A few years ago Bill also developed a program called Point Play, the competitive tennis workout as an alternative to Cardio Tennis. It’s a game for six players and in an hour and a half players get a workout, play a high energy competitive game and have fun and make new friends. Many clubs in Connecticut are now playing this game and Bill runs at least 10 groups a week at his club. Bill is passionate about playing tennis as well. He continues to play as much as possible and has been nationally ranked in singles, doubles and Father- Son doubles. Bill and his son Matt were ranked #1 in New England and #20 in the Nation in 2008. Bill and his partner are currently #2 in New England and in the top twenty nationally in 50 and over doubles.